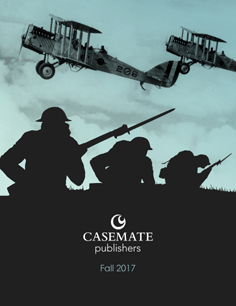 Set up by history enthusiasts for history enthusiasts in 2001, Casemate is a leading history publisher and distributor. We have gathered together the ultimate collection of history and military history, and provide a one-stop shop for readers everywhere. From memoirs, biographies and key events, to wargaming rules and illustrated reference books, there is something in our range for all military history fans. The Casemate Blog is the place to keep up-to-date with the latest news from Casemate and the history community, and includes contributions from staff, authors, illustrators, milbloggers, military history buffs, and more. If you read about, and like history, you’ll like the Casemate blog. Any questions, queries about the blog, please email us. We value your opinion. significance. Your blog is another site I will definitely add to my resource list.